We feel proud to introduce ourselves as an eminent trader and supplier of Slide Mounting. 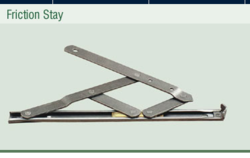 Its right & left pair are known for their lateral guiding & gap adjustment, the offered slide mounting is precisely manufactured by optimum grade material under the keen observation of accomplished professionals. We offer this slide mounting in various specifications. Fostered with a team of highly experienced professionals, we are offering Bottom Mounting Drawer slide. Offered drawer slide is designed by vendors workforce using premium quality material as per set guidelines. The offered drawer slide helps in tilting drawers & prevent drawer from falling. This drawer slide is available in several stipulations. By keeping track with market development, we are engaged in offering a wide gamut of Door Hinges. The offered hinges are precisely manufactured by optimum grade material under the keen observation of accomplished professionals. Additionally, to remove flaws our quality controllers check these hinges on quality parameters. 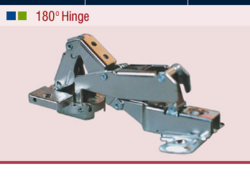 We offer this hinges in various specifications. New generation of hinges having one piece integral design. Performance and reliability is the essence of Formula Hinge. Easy adjustments available for setting shutter gap. Finish :- Nickel plated & Powder coated. Spring loaded with 'Autoclosing' feature. Adjustments for gap and pivot angle. Max shutter size 2135 mm x 600 mm (85" x 24") for 2 hinges. Shutter thickness 16 mm to 26 mm. we are one the leading supplier of Thick Door Hinges in chennai. Soft Close Mechanism Prevents Shutters from Banging. Max. Shutter Size : 34" x 22" (850 mm x 550 mm) for 2 hinges. Shutter Thickness : 18 mm to 30 mm. Shutter Cavity : Ø40 mm, 14 deep, Cavity 4 mm from Edge. 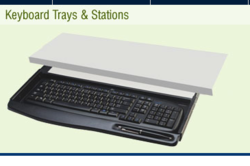 Left or Right side retractable mouse pad tray. Height and angle adjustment on mounting brackets. Smooth quiet movement with keyboard slides. Unique angled hand rest to prevent fatigue while working. Available with 200 and 250 mm extension. Special pressure lock at extended position. Also available with soft palm rest. Made of AISI 304 stainless steel and brass. Pressure adjustable brake for stopping. Can be used for side hung horizontal axis opening ventilators, as well as top hung vertical axis opening windows. Can be used in wood, aluminium or plastic windows. Also now available in independent left and right hand working for better closing and alignment. * Add 'L' or 'R' for Left or Right hand after Code No. # Add 'EP' for Electro Polished finish. 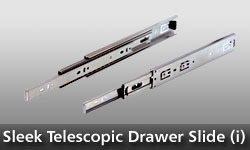 We are the recognized trader and supplier of high quality Sleek Telescopic Drawer Slide. The offered drawer slides are manufactured by using high grade basic material and leading technology in accordance with the set quality standards. Our offered drawer slides are properly tested by vendors quality controllers on set parameters to ensure its flawlessness. These drawer slides are acclaimed for its optimum finish in the market. Precision roller system has good load bearing and life. Has special guides and catches to secure the door. Load capability - 125 kgs.